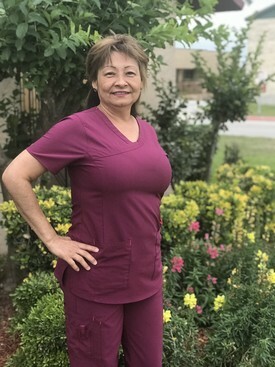 Susan Garcia is our Registered Dental Hygienist. 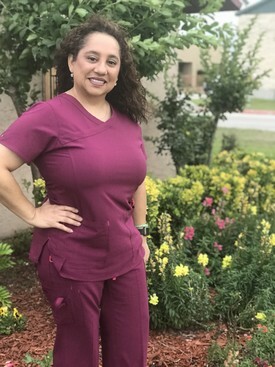 She graduated from Bee County College and received her associate’s degree of applied science in Dental Hygiene. Susan has been working for Dr. Louis Cadena for 20 years. She is ready to serve all your dental needs. 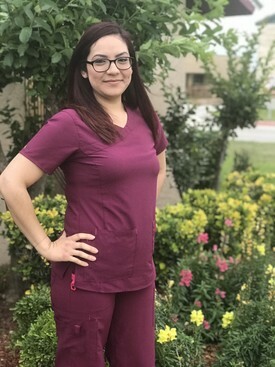 Nallely Carrales is our Registered Dental Hygienist. She graduated from UT Health Science Center of San Antonio and received her Bachelor's degree in Dental Hygiene. 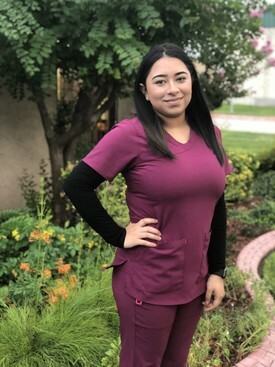 Nallely enjoys getting to know our patients, educating and provide them with the necessary tools to have the best oral health possible. In her free time, Nallely enjoys going back home to Eagle Pass to spend time with her family. She enjoys working with children and is ready to serve all your dental needs. 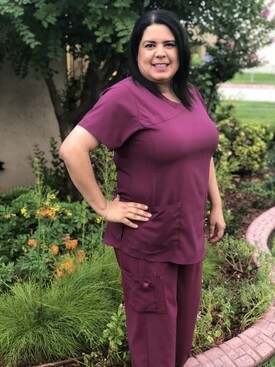 Viviana comes to the Cadena Dentistry team with over 20 years of billing and office management experience. She enjoys spending time with family and friends on her time off. Her favorite bible verse is, "Let all that you do be done in love." ​1 ​Corinthians 16:14. 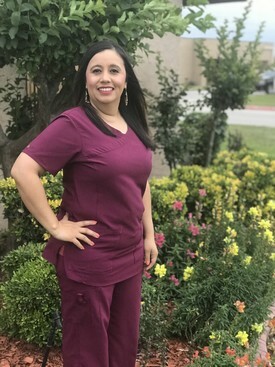 ​She is looking forward to serving the Cadena Dentistry patients with the care and dedication they deserve. As our Appointment Coordinator, she assists in scheduling and maintaining day-to-day flow of patients. She makes sure that all daily operations in the office and your appointments run smoothly. She has been with our team for 5 years and previously worked for ten years with an orthodontist as a receptionist. She is blessed with a wonderful family. Camilla assists in greeting, scheduling and maintaining day-to-day flow of patients. She is a currently a college student pursuing a degree in Business Management. She says "The best part of her job is meeting all the patients and being able to see them leave with a smile on their face." Gema joined Dr. Louis Cadena’s team in 2006 and enjoys being part of an exceptional dental team. She has over 11 years in dental experience. She is our lab technician and dental assistant. Gema finds helping and educating patients with their dental needs very rewarding. She loves the variety of dentistry. She is blessed with a wonderful family. Matilde is originally from Eagle Pass, Tx but has been living in Del Rio since 2010. 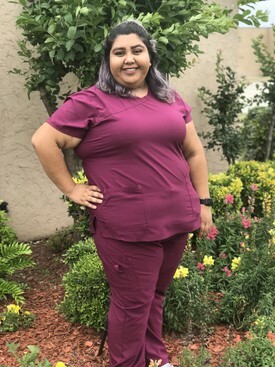 She received her dental assisting license from the Southwest Texas Junior College in Uvalde, Tx. She says," My favorite thing about assisting is being able to see people happy with their new smiles because it is very rewarding." She is blessed with three wonderful children who motivate her to work hard and keep smiling! 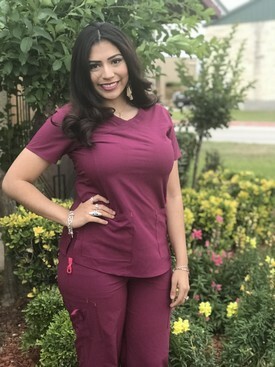 Tatiana studied dental assising at Del Mar College in Corpus Christi, Tx. She began her career working with Dr. Louis Cadena's team. She chose this profession because "there's nothing like being able to restore a person's happiness one smile at a time."